The Bladeless LASIK Surgery, also known as Femto Lasik is the latest technology used in the treatment of myopia (short sightedness), hypermetropia (far sightedness), presbyopia (age related vision change) and astigmatism. 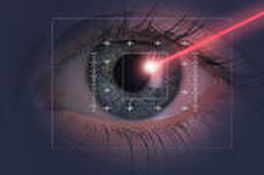 In the Femto Lasik surgery, an Excimer laser is used to perform the surgery. Femto Lasik surgery can be performed to correct all of the vision problems listed here. the cornea to create small overlapping spots under the surface of the cornea. affecting the surrounding tissues. No heat is generated so no other harm is done. Once the flap in the cornea has been created, the surgeon uses a specially designed surgical tool to lift up the flap. The Excimer laser is then used to reshape the cornea, based on measurements of the amount of nearsightedness, farsightedness or astigmatism. The flap is then smoothed back in place. will move you under the other laser which will perform the correction. The flap is retracted to allow the laser to work under the surface. When the correction is completed, the flap is replaced. The Femto Lasik procedure is very safe, and allows a very precise flap to be created. Chances of infection or any kind of inflammation are also quite low. Larger areas can be treated and the cornea has a greater chance of remaining stable over time. Repeated treatments are not often required and the recovery from a Femto Lasik eye surgery is quite fast. The results of the surgery are excellent, and the recovery is fast and easy. Patients are usually able to drive to the office the day after surgery without glasses or contact lenses.